It pleases me to share with you one of the best articles of John Maxell about Haiti according to my point of view, particularly the effect of the 200th celebration of Haiti's Independence in the world. 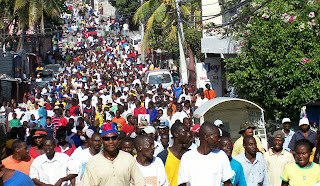 I can tell you, it is one of the most important articles that I had never read before about Haiti's 200th celebration. Please read it carefully, I wish you an Happy day under the protection of our Almighty God.